The final leg of the English Premier League is in full swing. This is that time of year where each team with a real chance is required to give an extra push and hope that injuries or fate works on their side. The greatest challenge of course in addition to their opponents, is fitness and being able to play through big and small injuries. As usual betting on the top live odds football sites like Betolimp has been brisk. 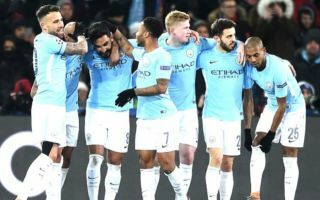 In terms of the Premier League standings, it has been a continuous conversation throughout the season regarding the dominance of Manchester City. The club has been a juggernaut with only a few middle season flubs. However since their loss to in January to Liverpool, they have been unbeatable in league play running off six straight victories and clearing themselves ahead of the field and bitter rival Manchester United by 16 points. Their excellent play on offense, defense and in goal continues and with 8 games to play the team looks like a lock to win the Premier League. They will try and wrap up the title on April 7th against Man U, providing they can score a victory against Everton the weekend before that game. Their mostly up season continues with some unexpected victories and a few stunning losses throughout the year. Their 2-1 win last week to Liverpool is perhaps an indication that the confusion from bringing in Alexis Sanchez, a talented and eager forward, may be subsiding. He has not been living up to expectations since he was brought in on loan from Chelsea and there are rumblings of some locker room issues, but the club held on for a tough victory last week with him on the field. With Paul Pogba continuing to not be unfit, it is hard to predict the remaining 8 games for Man U.
Tottenham continues to be the hottest club since December and are on an 11 game undefeated streak in the Premier League. They were recently defeated in the Champion’s League however by a rejuvenated Juventus team with a 2-1 loss at Wembley last week. The club got some great news that injured player Harry Kane does not have structural damage in his injured foot meaning it is hopeful he can return to the pitch in a few weeks. The talented striker is the Premiere league’s co-scoring leader with 24 goals in 29 matches this season. Liverpool sits fourth in the Premier League and is second in goals scored but out of the top five in terms of goals allowed. The club suffered a deflating loss last week at Manchester United and looks as if it will not make a run at the top two spots this season. The club however has reached the quarterfinals of the Champion’s League and seeks to impose its will in international competition. The brightest spot for the club is of course the meteoric rise of Eyptian striker Mohammed Salah who has had a string of dazzling performances, and now with 24 goals is the joint-top scorer in the division with Tottenham’s Harry Kane. Arsenal and Chelsea seem content to rely on international play this year to show their mettle and the bottom half of the table is as competitive as ever. Bet olimp SA continues to track all of the premier League action and provides live odds all the clubs.